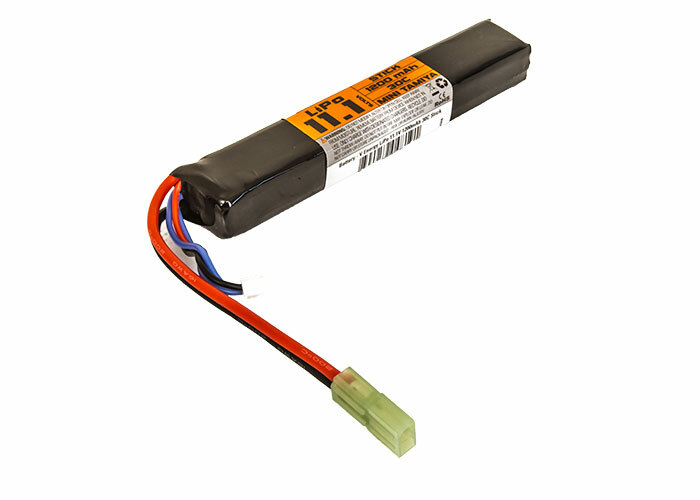 Lithium Polymer batteries are the newest available batteries for airsoft and other hobby toys. They are designed as a light weight, high output power source. This 11.1v Li-Po battery can deliver far more power than 9.6v Ni-MH large type battery with only half of the size and a third of the battery cells. My AEG, smart charger, LiPo battery, laser, red dot sight, and vertical grip was delivered on time and in perfect condition. Started charging the LiPo battery after buying ammo the following day. It charged for approximately 1 hour and then I plugged it into my SCAR for target practice. Afterwards, I charged it for a second time starting at 6pm. At 7:30pm, the entire battery exploded into molten, acidic lava. After I put the electrical fire out I called 911. There is absolutely nothing left of the battery except melted carpet and charred marks on the floor of my bedroom. On the first charge, INSANE ROF!!! This could have burned my house down!! Luckily I heard the explosion, and then saw the flames. Buyer beware when charging your LiPo Stick Battery. The smart charger did not prevent battery from over heating. I have used this battery for only about 6 or 7 charge cycles. I noticed it starting to puff a little the last time I went to charge it up. It charged fine and seemed to hold its charge while I used it. After it died I went to charge it about a week later and it will not take a charge and does not work anymore. Maybe it's something I did wrong. I understand how to care for batteries and know batteries do not last forever. But I have only had this battery for a couple months of rather infrequent use since it's for a aeg that does not see to much use. Will this battery fit in my H&K G36C? Will this fit into my Lancer Tactical Ak-74u under the dust cover, where the stock battery goes? As long as no MOSFET nor fuse housing creates an issue as far as space goes, the G&G buffer tube should be able to house this battery. will this fit my kwa sr10? Roughly, how many shot could i fire out of my AEG with this battery without completely draining it? Ideally, 1 mAh= 1 BB shot in most cases. Will this fit into a buffer tube along with a burst wizard mosfet? Most likely, it will <b>not</b> fit. Yes this will fit in a buffer tube. You will need a Li-Po Balance charger for any Li-Po battery.